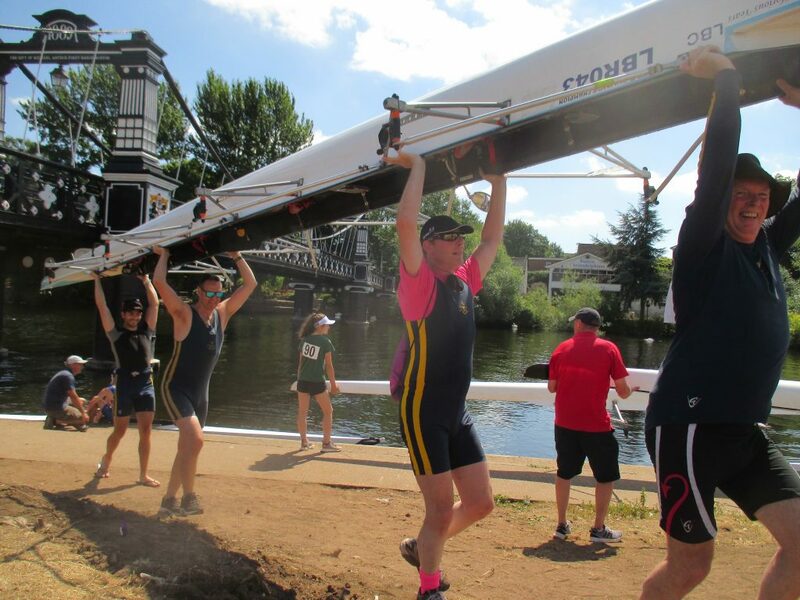 Inspired by the Ladies’ clean sweep a fortnight earlier, Loughborough Men hit back during a sun-drenched Burton Regatta to bring home medals in both the Open Masters C Quad and the Open Coxless Four categories. Tim, Mike, Walrus and Neil teamed up to form a powerfully diverse combination of age, experience, and good looks, that was simply too strong for their opponents. Their unique sculling style and inextinguishable post-race smiles hopefully indicate that there is more to come from this crew. 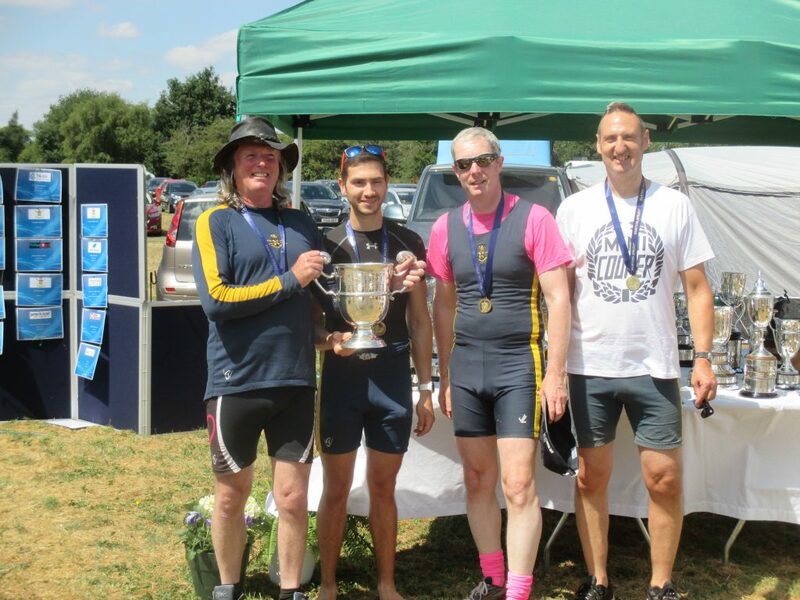 Meanwhile, Keith, Charlie, Nick and Jerry raced in a banded category against significantly younger and better groomed opponents from Nottingham Rowing Club. In spite of a last minute setback at launch control where ‘Woody’ was discovered to have been mysteriously sabotaged by a hole below the waterline, some hastily applied bodge tape prevented too much water ingress and enabled the Loughborough Lads to force a slightly wayward Nottingham boat wide down the bend. With both crews side by side for the entire course, it was a close call at the line but LBC held on to a slender lead to win by two feet. The Ladies continued to notch up further victories at all age levels. 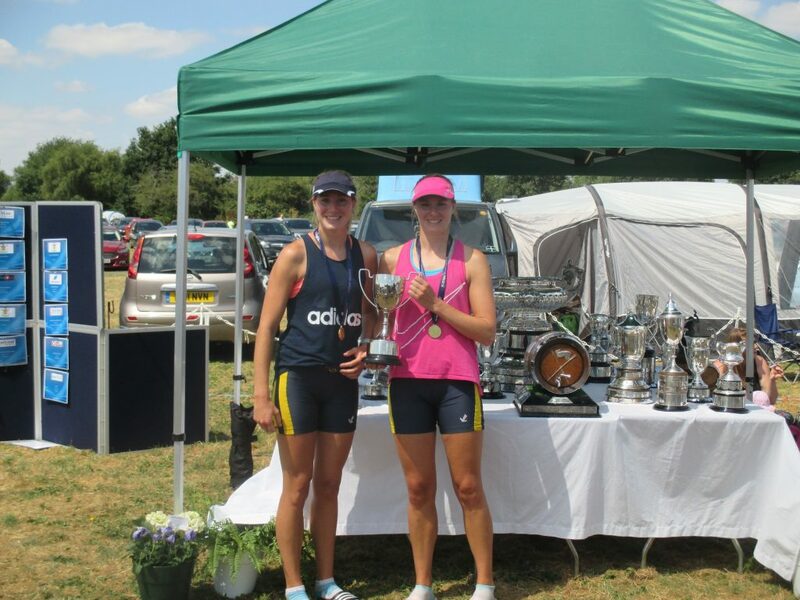 In spite of a disqualification for Annie and Cathie on the Saturday after crossing the line first, they steered a great course on the Sunday to bring home yet more metalwork. Hannah also showed great technique with quick hands (to appeal), after watching Mike over many years, although her own circumstances were slightly different to Mike’s example because her Double had crossed the line first! 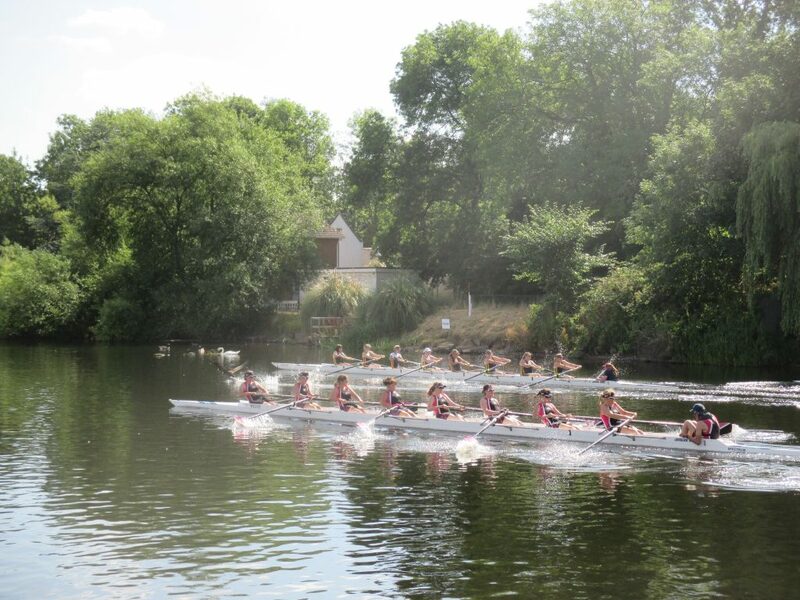 Further wins were recorded for Thomasin and Tara as Juniors, and Matilda and Hannah in their well-balanced Pair. 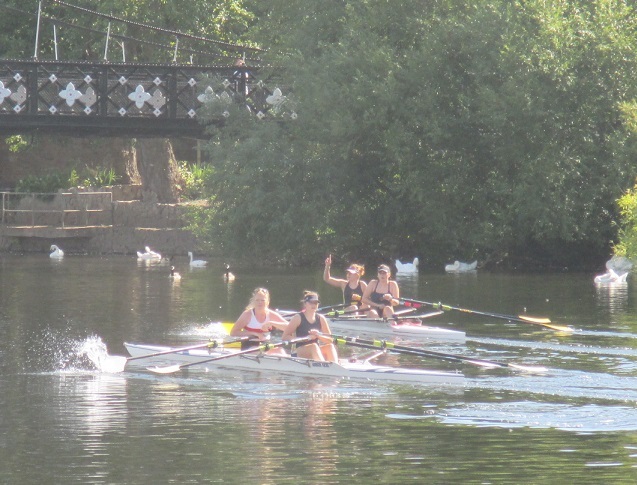 The Masters Ladies Eight scored a satisfying victory over arch-rivals Devil’s Elbow, in spite of Jen’s attempts to decapitate a swan that had hugely underestimated the Ladies’ speed.